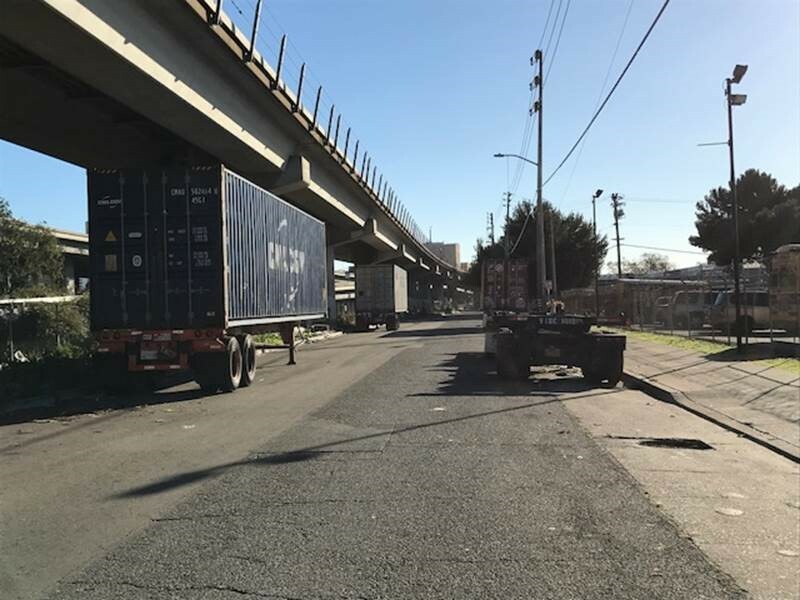 This webpage has been replaced by the City's new Website, please click here to visit our new Webpage for the West Oakland Truck Management Plan. For the latest on new Workshops being held, please click here to visit our new Webpage for Community Engagement for the Truck Management Plan. The third Community Workshop was held on: Saturday, April 7, 2018 at 10:00 am - noon. The second Community Workshop was held on December 2, 2017 with about 50 people attending. This was a mobile workshop where shuttle buses took all attendees to 3 sites in West Oakland. At each site issues and ideas were discussed related to truck circulation, truck parking, signage, and enforcement. 8 to 9 month process with the community to develop this Plan. We expect to have a final Plan around July, 2018. The City and Port welcome and encourage you to help us prepare this Plan. We encourage all our neighbors, businesses and truckers to help us develop this Plan. We will be holding a series of public meetings as outlined below. Please also see the section on Other Ways to Provide Input. Subject: Discuss and prioritize as a community the issues, review survey results and technical data. Subject: Presentation of draft solutions for public discussion. Please come back to this webpage for more details. Meeting announcement and agenda to be posted two weeks prior to the meeting date. Subject: Presentation of draft Plan and Implementation Actions. Subject: Site Visit/Mobile Workshop to look at the issues. 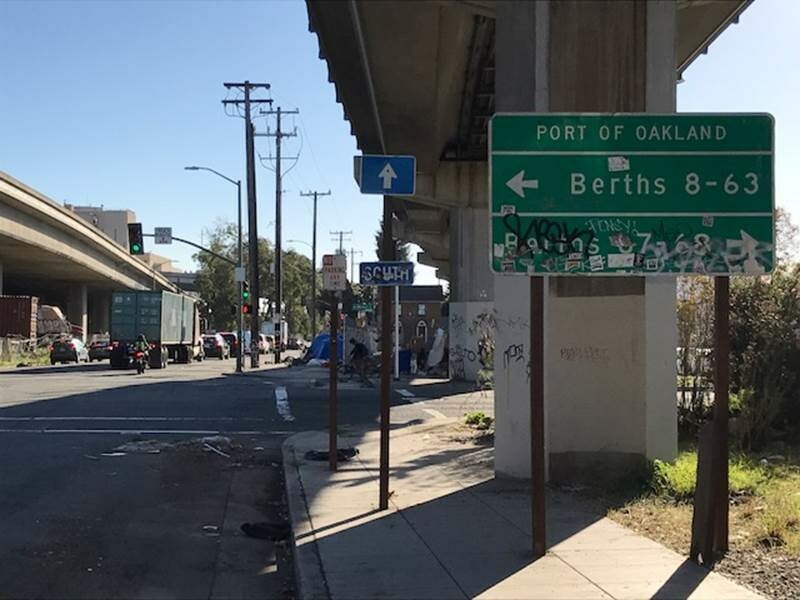 This will be a mobile Workshop; it will consist of a drive around West Oakland in minivans looking at various problems and issues related to trucks that were identified in the first Community Workshop. Minivans will depart from the meeting point at 10:15 am. If you miss the departure please join us for the debrief and lunch. Lunch and debrief from noon - 1:00 pm, back at the original meeting point. Minivans will be provided for site tour. Lunch Location: Same as Meeting Point listed above. Subject: Overview of the Plan and your input about the problems. The meeting will include a brief overview of the issues at hand, then convene with a breakout session where participants can gather in smaller groups to discuss their views, raise issues and questions. Please see the meeting announcement in the column to the right for details. BART West Oakland station; AC Transit buses 14 and 36. Car and bike parking at 12th and Magnolia St.
· Sign up for e-mail updates and announcements of the upcoming community meetings using the link at the top of this webpage. · Email the Planning Team. See Contact Us below. To subscribe for e-mail updates and announcements of upcoming community meetings, please click on "Subscribe for Updates" at the top of this page. For information about the former Oakland Army Base, please click here to visit the webpage.